The Mormon Transhumanist Association has released the following official statement, in accordance with Article IV Section 9 of its Constitution by unanimous vote of its Board of Directors. The Church of Jesus Christ of Latter-day Saints (Church of Jesus Christ) has asked its members and friends not to use the words “Mormon” or “Mormonism” when referring to it, its members, or its unique culture. The Mormon Transhumanist Association acknowledges and will adhere to that request. The Association also encourages its members and friends to respect and adhere to such requests from organizations and individuals generally. Although the Mormon Transhumanist Association is not affiliated with the Church of Jesus Christ or any other religious organization (see “Official Statements and Religious Affiliations of the Mormon Transhumanist Association,” 22 September 2018), many Association members are also members of the Church of Jesus Christ. And some have wondered if the Association would change its name. The Association operates in accordance with a constitution that specifies the official name of the Association. Unless voting members of the Association amend its constitution, the name of the Association does not change. Although some used “Mormon” as a derogatory label for his followers, the prophet Joseph Smith embraced it as a way of emphasizing what was distinctive in the faith he founded. While the name “Church of Jesus Christ of Latter-day Saints” functions well to emphasize what that faith shares with other Christians — Jesus Christ — the name “Mormonism” serves to emphasize what is distinctive in that faith. Joseph Smith associated “Mormonism” with certain “grand fundamental principles.” And he encouraged his followers to be “true Mormons.” On one occasion, he stated, “Friendship is one of the grand fundamental principle of ‘Mormonism.’ … We should gather all the good and true principles in the world and treasure them up, or we shall not come out true ‘Mormons’” (Teachings of the Prophet Joseph Smith, compiled by Joseph Fielding Smith (Salt Lake City: Deseret News Press, 1938), 316). And on another occasion, he stated, “One of the grand fundamental principles of ‘Mormonism’ is to receive truth, let it come from whence it may” (Teachings, 313). The Mormon Transhumanist Association recommends use of “Mormonism” or “Latter Day Saint tradition” when referring to the broad culture that includes the Association, other non-ecclesiastical institutions such as the Mormon History Association, and ecclesiastical institutions such as The Church of Jesus Christ of Latter-day Saints, Community of Christ, The Church of Jesus Christ (Bickertonite), Church of Jesus Christ with the Elijah Message, Apostolic United Brethren, and Fundamentalist Church of Jesus Christ of Latter-Day Saints. And the Association recommends use of “Mormon” or “Latter Day Saint” when referring to persons-in-general who identify with that broad culture. The Association defers to the preferences of each institution when referring to its unique culture and members. When referring to the Mormon Transhumanist Association, please use the full name of the Association in the first reference. 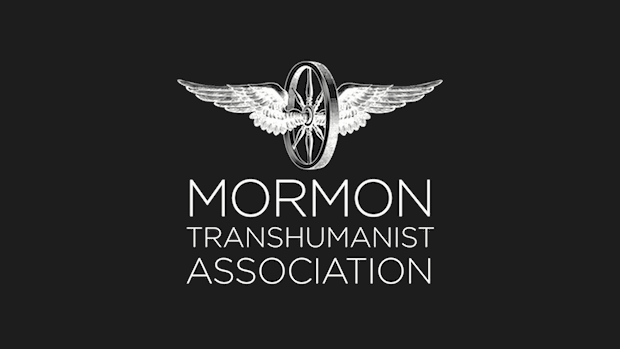 In subsequent references, please use the term “Association” or the abbreviation “MTA.” Please use “Mormon Transhumanism” when referring to the culture of the Association. And please use “Mormon Transhumanist” when referring to persons-in-general who identify with that culture. Members of the Association come from diverse backgrounds, Mormon and Transhumanist and otherwise. They may or may not apply the labels “Mormon,” “Transhumanist,” or “Mormon Transhumanist” to themselves individually.